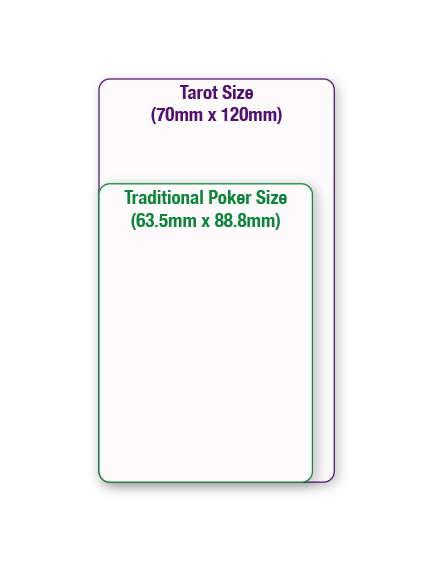 Tarot cards are traditionally 70mm x 120mm, with 78 cards in a pack. But if you have more or less cards in your deck this is no problem – we can customise your pack to suit your needs. Make your mark with a professionally finished pack of custom tarot or angel cards. These cards can have any element customised and you can even choose what size you want your cards to be. Some people prefer poker size as they are easier to handle and pocket sized, whereas other people like an even larger card! 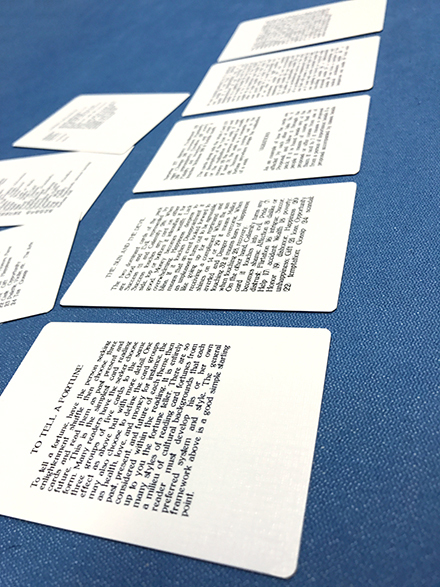 They are printed on the same casino-grade card stock as our standard sized playing cards, but with a smooth finish. For other quantities or non-standard numbers of custom tarot or angel cards in a pack, please email: enquiries@playingcardspersonalised.co.uk or call 01206 262751 for more information. Why order custom tarot or angel cards from us? A custom deck of tarot, angel, or goddess cards is a wonderful way to get your unique artwork out into the world. Whether you plan to just order a pack for personal use, or want to share the joy with others and order more packs to sell or gift, we think our combination of flexibility and quality is a winning formula when ordering! Totally Flexible – We can customise any element of the card design, from numbers in a pack and size of card, to type of design, custom printed box and single sided or double sided personalisation. We can also provide you with a trial pack if you want to try out a pack you are preparing for retail, deducting the cost from your final order, as long as it is for 100 packs or more. 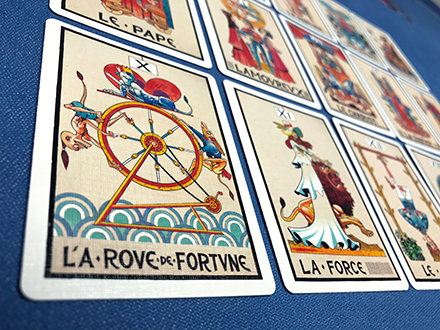 Superior Quality – Our tarot cards are printed on professional grade playing card board - 320gsm Smooth Finish - which has been developed specifically for the creation of playing cards. The cards exceptionally easy to handle and really easy to shuffle and fan.